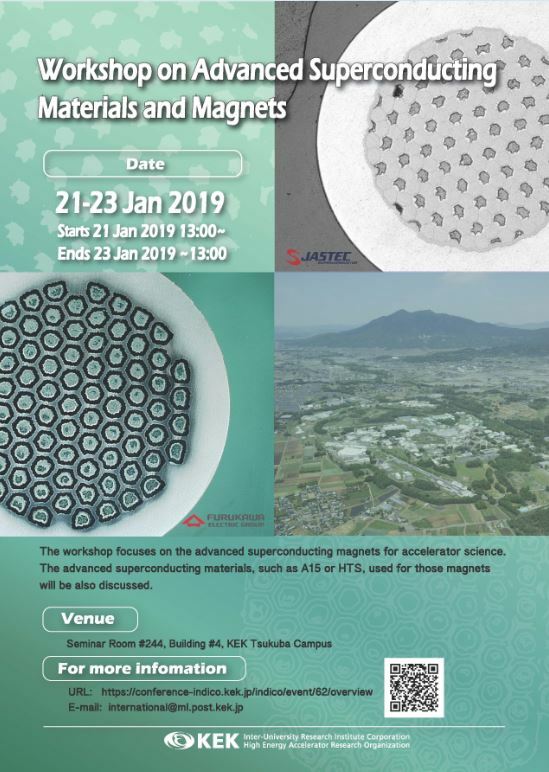 The workshop on the advanced superconducting magnets for accelerator science. The advanced superconducting materials used for those magnets will be also discussed. Yutaka Yamada, Shanghai Superconductor Co. Ltd. The Contents of this Website will be open only for 6 months. After July 21, 2019, each presentation file will NOT be able to downloaded.